A great way to see some of Stanley Park and learn about photography at the same time is to take a Photo Walk tour. 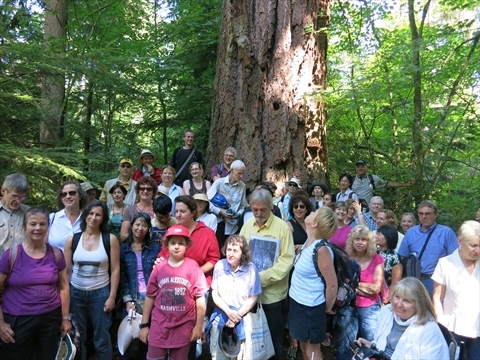 These tours will usually take you into Stanley Park to take photos of some of the attractions. You are usually required to bring your own camera, preferably a DSLR camera with zoom lens but smartphones are usually also allowed. Also, a tripod is usually recommended. You may be able to rent a camera and tripod, but that depends on the company. The guide will give you tips and guidance on how to take great photos in the particular environment. Make sure that your camera batteries are fully charged BEFORE going on the tour! Vancouver Photowalks offers a 2 hour Stanley Park Photo Walk Tour. This is a stroll along the Stanley Park Seawall. They will discuss aperture, shutter spped and ISO along with giving you composition tips. Vancouver Photowalks also does photo walk tours of Canada Place, Gastown, and the Olympic Village. Book your tour on their website (below). TIP#2: Make sure that you have enough free space on your memory card BEFORE the tour! Phototours Vancouver has a website up and shows a Stanley Park tour, however there are no tour dates listed. We aren't sure it they are still in business or not.